Pain Physicians NY (Brooklyn, Queens, Manhattan, Bronx NYC) is one of the first Pain Management Clinic in New York to offer an alternative treatment for arm and hand pain. Depending on severity of the pain, signs and symptoms in addition to traditional treatment options such as muscle relaxants, injections or physical therapy we might offer a cutting edge, non-invasive disc decompression procedure and Platelet Rich Plasma (PRP) injections. Arthritis is a disease of the joints, and when it affects the hand or wrist, the affected individuals suffers from pain while using their hand. Arthritis can affect any joint in the body, often due to ageing, and the hand, being one of the most used joints in the body, is often affected. Arthritis primarily affects older people. However, it can affect people at any age, mostly women. Women are more likely to develop the signs and symptoms of arthritis between the ages of 20 to 30 years old. Doctor for arthritis in hands estimated that more than 60% of people over the age of 60 have signs and symptoms of arthritis, while almost 90% of people over the age of 75 have these signs and symptoms. Between every two bones is a joint which allows them to move, and there are about 360 joints in the human body. Each of these joints consists of cartilage, ligaments, tendons and the bursa (containing a lubricating synovial fluid). 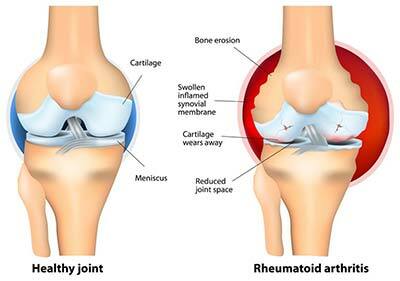 Damage to any of these structures can lead to arthritis, and while any joint can be affected, the condition is most prevalent in joints that are often used. These include the hand and wrist, as well as the knee, elbow, shoulder, and hip. What causes arthritis of the hand and wrist? With these symptoms alone, a doctor for arthritis in hands can identify a case of arthritis in the hand or wrist. However, further X-ray tests may be used to determine the extent of the damage. Arthritis in hands treatment options will depend on the extent of the damage: minor cases may only require anti-inflammatory medications, exercise or just rest, while serious cases may require injections of steroid medications directly into the joint. In the most severe cases, our doctor for arthritis in hands may be recommended surgery to either remove the infected components or even replace the joints. The most advanced pain management center, Brooklyn pain management doctors and specialists at Pain Physicians NY offer unique, individualized approach to manage your Hands & Wrist pain. Doctor for arthritis in hands in Brooklyn are using the most effective pain management and treatment options to treat arm and hand pain, different forms of arthritis, trigger finger or thumb, frozen shoulder. We are utilizing the latest technologies available in USA.